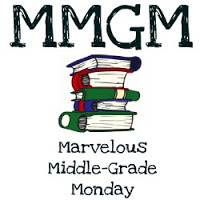 This entry was posted in Middle Grade Book Reviews and tagged Lamar Giles, Marvelous Middle Grade Monday, The last last-day-of-summer. Bookmark the permalink. You had me hooked in your first line of your post. I’ll be looking for this one at my library. This book sounds like so much fun! I actually got to hear from Lamar Giles at the book festival over the weekend, so I’ll be sure to try this! What a great title and cover — love the expression on the cousins faces. Many kids will identify with this fun adventure! I know I would have! I’m reading this right now! (On Netgalley, so it takes me a while to read) It’s a lot of fun so far. This sounds like a great book. I love that they are cousins (I’ve written a manuscript involving cousins, and I have many great cousins). The fact that you said it takes place in Logan County, VA caught my eye. I know it is a fictitious county, but there is a Logan County in southern WV. Thanks for the review! This book sounds like fun! Thanks for your review. Aww. This looks like a lot of fun. I just love the title. Thanks for telling me about it. I love the expressions on the boys’ faces on the cover of this book, Greg. This sounds like a must read for me. Thanks for sharing it on MMGM.